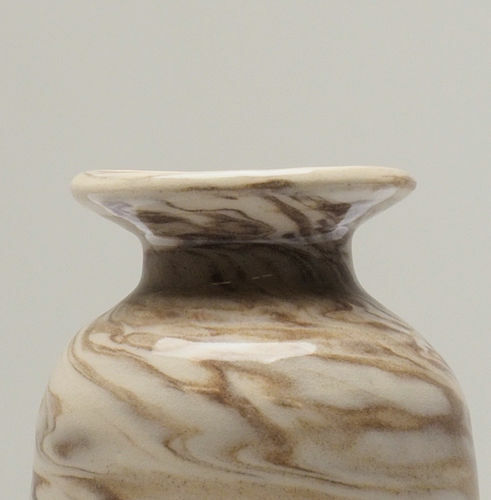 Thrown with two clays, brown and white, after being wedged together, only to reveal an unpredictable but planned marbled effect. 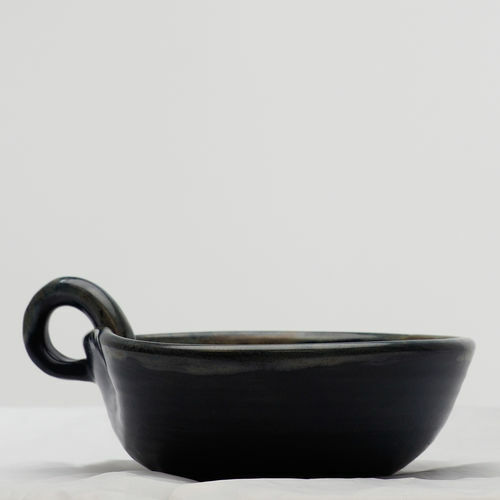 Thrown and altered dish, fitted to your palm, with handle added. Stoneware. For use while binge viewing your favourite t.v. series over the supper hour. 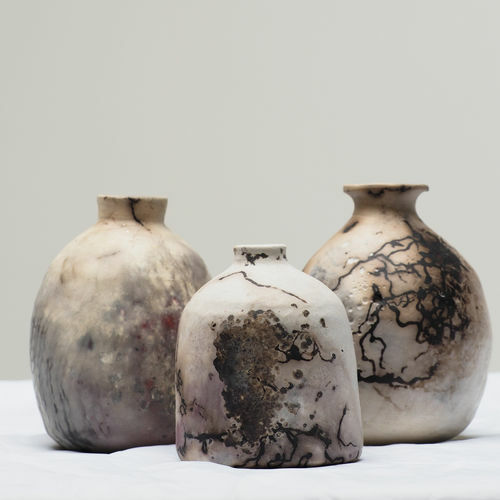 A trio of pit fired vases, finished with horse hair application while pots are still very hot. The rounded forms were thrown then altered by breathing into them to make them even rounder and more organic looking. Thrown in two pieces then joined. 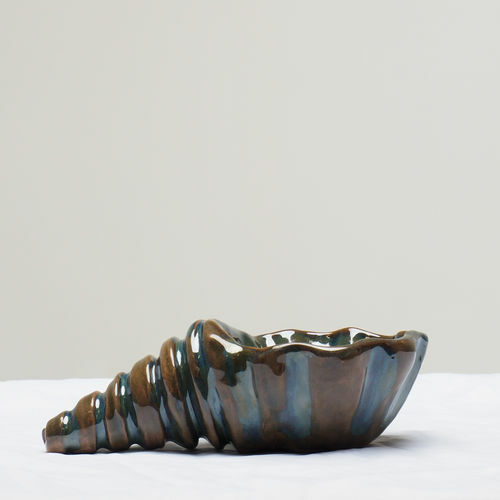 A seashell bowl for the table. 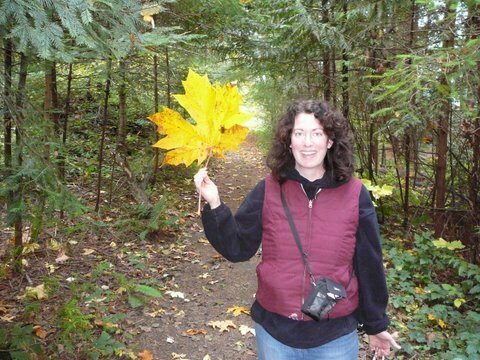 Possible near-world-record-sized Maple leaf and the potter. and the Salish Sea Gallery in Cowichan Bay, as well as yearly sales with the Nanaimo Pottery Co-op.